1. September is National Preparedness Month! I wrote a piece for the National American Red Cross about emergency preparedness…centered around the very first survival kit I ever created (as a seventh grader) and which I happened to find, still completely intact, in the top of my parents' garage this summer. Don't you love finding treasures like that?! I certainly do. Check the post out here! 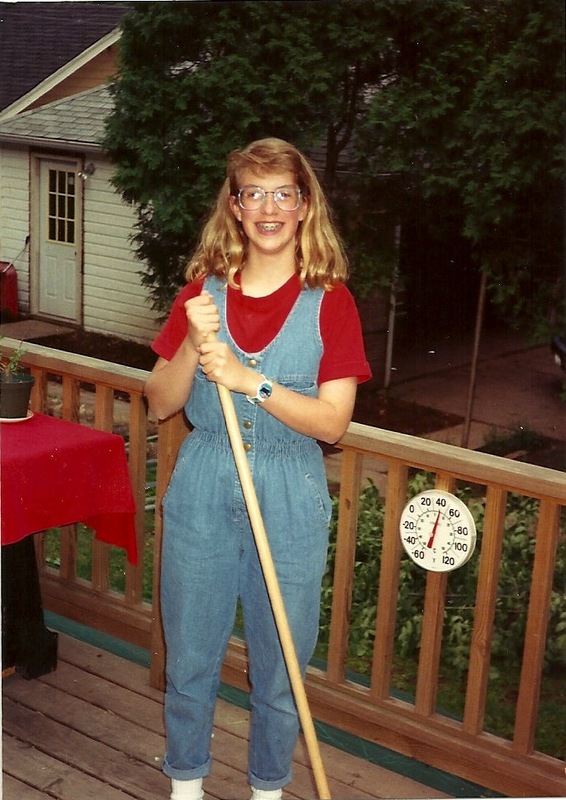 And just for fun, this is what I looked like when I created that survival kit in seventh grade. 2. 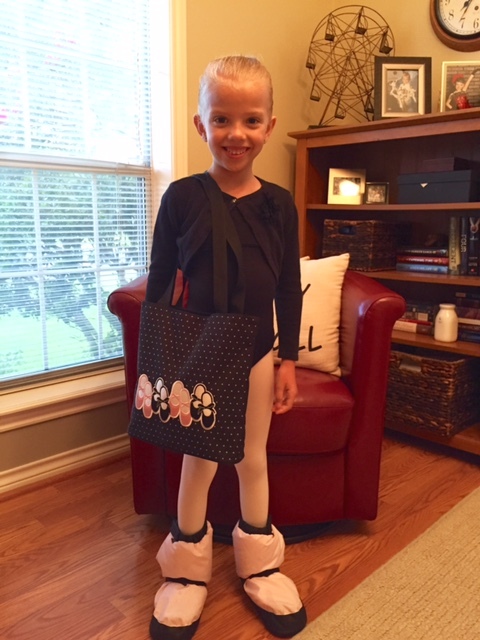 My sweet little dancer received a role in Ballet Brazos' annual production of The Nutcracker. She - alongside several of her friends - will play a mouse, and she's beyond excited. Not knowing whether or not Hallie made it into the show was one of the uncertainties contributing to my anxiety last week, so this week I'm both thrilled for her and relieved to finally have a better picture of what our fall schedule will look like. in enough to make her little ponytail stand straight up in the air. 3. Tom bought me this ring during our vacation to Minocqua, Wisconsin this summer, and just this week I finally found the time to have it sized. I have itty bitty fingers - both my sister and I have child-sized hands - so I couldn't wear it at all until it wouldn't fall off my finger. So pretty! 5. 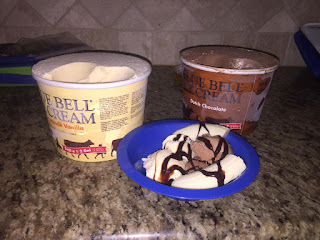 And last but not least… Even though I don't particularly care for Blue Bell ice cream, the fact that earlier this week it returned to grocery store shelves deserves a high five. 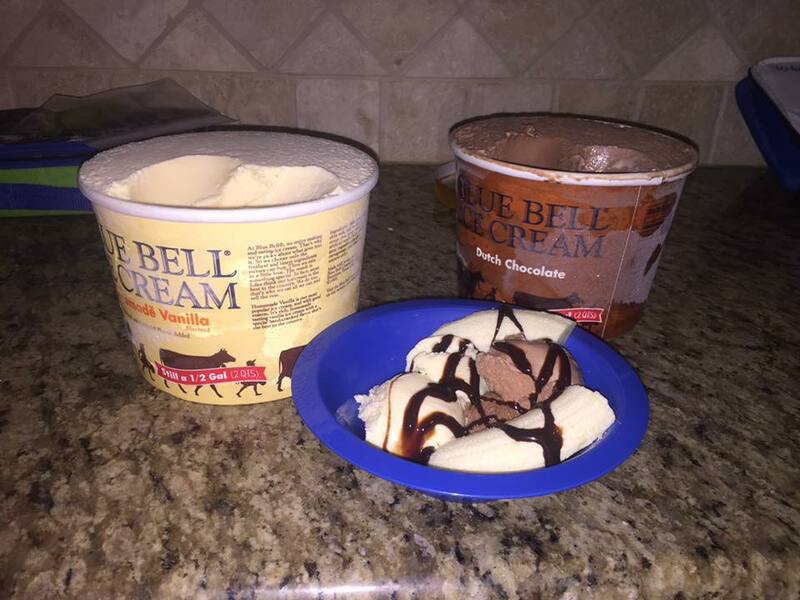 Nearly every Texan I know is a HUGE Blue Bell fan, which means that nearly every Texan I know is having the best week ever. It was like a weight lifted off the state's shoulders at 4:30 a.m. on Monday morning, and you can feel joy and excitement radiating from folks as they reintroduce their favorite sweet treat into their diets. Hey Mom…will you send me some Chocolate Shoppe ice cream? Pretty please? for breakfast. Monday's "Best Mom Ever" award went to Jen!